"Much valuable information about the various indoor games indulged in by the Harappans is available from the gamesmen, game-boards and dices found at the major Indus cities. 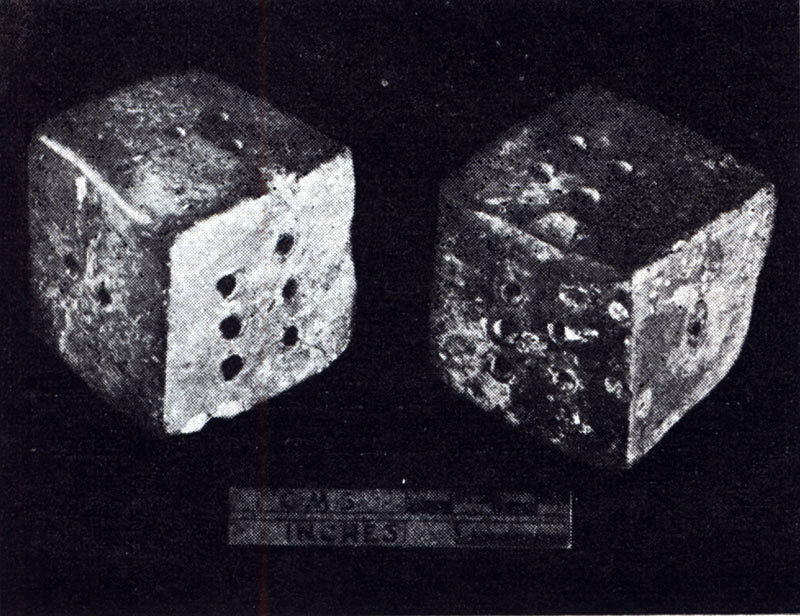 A game involving the use of dice was very popular in the Harappan and later times, especially in the time of the Mahabharata war. The Pandava prince is said to have lost everything including his kingdom in a game of dice. An ealrier reference to the games is contained in the Rdveda whcih mentions the use of Vibhitika wood for making dice. Lothal has yielded a cubical terracotta dice marked 1 opposite 2, 3 opposite 4, and 5 opposite 6 (Pl. XXXIII C ), but normally the Harappan dices are found marked 1 opposite 6, 2 opposite 5, and 3 opposite 4 so as to make the sum of the opposite numbers equal to seven. 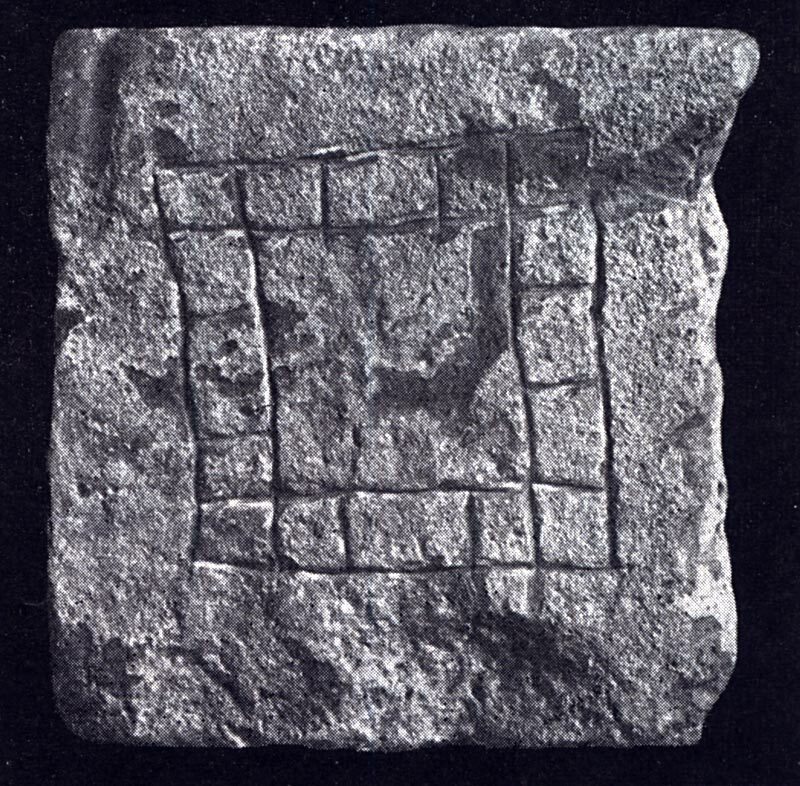 Although no wooden game-board has been found in the excavation, the brick from Mohenjpodaro makred with squares is presumed to be a model of game-boards. Lothal has also yielded two models, one made of pottery and the other a brick tablet (Pl. XXXII D )."